In the spirit of Giving Tuesday, the Gettysburg Foundation announces that it has provided an average of $2.3 million annually in support of Gettysburg National Military Park and the Eisenhower National Historic Site over the last nine years, for a total of approximately $20.5 million. The National Park Service (NPS) has used portions of the $20.5 million to preserve historical authenticity and to enhance the visitor experience. For example, gifts helped NPS complete a key battlefield preservation project—the rehabilitation of Cemetery Ridge; it gives visitors a much more authentic view of Union and Confederate battle lines during the fierce fighting that happened here. Current battlefield projects in planning stages include restoration of Little Round Top and a walking trail from the Museum and Visitor Center to the George Spangler Farm. In addition to preservation, NPS has used gifts from the Foundation to: acquire priceless artifacts for the onsite, world-class Gettysburg Museum of the Civil War, including items related to Abraham Lincoln; support musicians and artists-in-residence onsite; educate teachers and students and visitors through programs; and, upgrade facilities and acquire new artifacts related to the Eisenhower National Historic Site. "We're extremely grateful for this powerful partnership with the Gettysburg Foundation. Their support allows us to better preserve park resources and improves our ability to tell the compelling stories of Gettysburg National Military Park and Eisenhower National Historic Site," said Chuck Hunt, acting superintendent, Gettysburg National Military Park and Eisenhower National Historic Site. 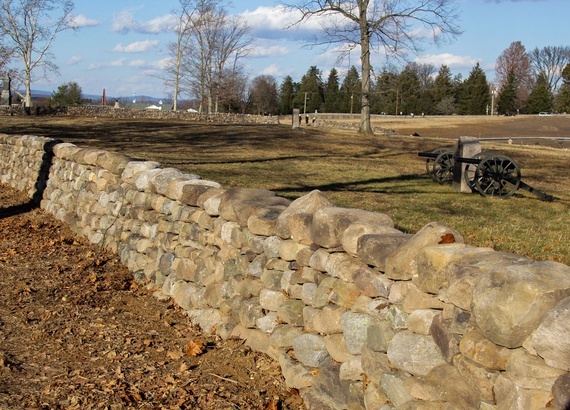 Information about the ongoing work of the National Park Service and the Gettysburg Foundation may be found on our website.